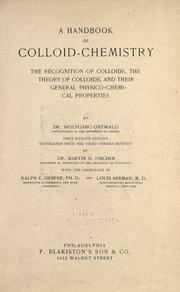 An introduction to theoretical and applied colloid chemistry, "the world of neglected dimensions,"
A handbook of colloid-chemistry: the recognition of colloids, the theory of colloid and their general physico-chemical properties. 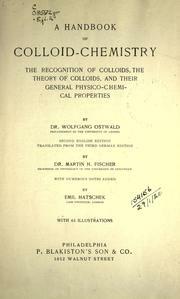 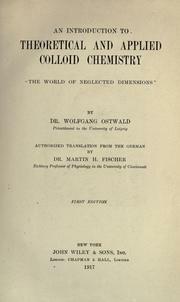 A Handbook of Colloid-chemistry: The Recognition of Colloids, the Theory of Colloids, and Their ..
Are you sure you want to remove Ostwald, Carl Wilhelm Wolfgang from your list? 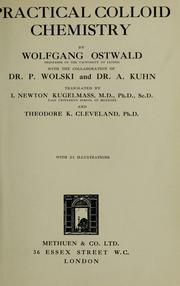 October 29, 2008 Edited by ImportBot Found a matching record from Talis .